Contact Florida Slip and Fall Attorney Gerson & Schwartz, P.A. The supermarket culture of the South would not be the same without the steadfast presence of Winn-Dixie. Since 1925, it has been a constant appearance across the southern states. It is now a part of the second largest supermarket chain in the American Southeast. Like other grocery stores, Winn-Dixie has many slips, trips, and falls in its premises on an unfortunately regular basis, and many victims sustain extremely serious injuries that result in substantial losses. If you or a loved one has been injured in a slip and fall accident at a Winn-Dixie store, contact Gerson & Schwartz to protect your legal rights. Our Miami slip and fall lawyers fight hard to ensure that our clients are fairly compensated for injuries caused by someone else’s negligence. While the classic slip and fall accident usually involved a customer slipping on some sort of produce or liquid, the fact remains that employees can be injured in grocery store slip and fall accidents, too. According to the Occupational Safety and Health Administration, falls account for a full 17 percent of disabling injuries in the workplace. Slip and fall accidents can result in severe injuries and permanent losses – particularly when the employee is using heavy machinery or performing physically demanding tasks. The severity of worker injuries is painfully apparent in the case of a Texas employee of a Kroger supermarket. Asked to clean a puddle that had accumulated under a condenser, Randy Austin slipped, fracturing his femur and dislocating a hip. He was hospitalized for nine months and underwent six different surgeries as a result of his injuries. While many workplace injuries must go through the Florida workers’ compensation system, there are several scenarios in which an injured employee can file a personal injury claim after being injured in a workplace accident. Additionally, personal injury claims typically result in significantly more compensation that the benefits provided by workers’ compensation. As a result, it is always a good idea to have a Miami personal injury lawyer review your case after you have been injured on the job. The common law imposes a general duty of care upon all business owners to maintain their premises in safe condition. The Florida Statutes further clarify this duty by requiring a slip and fall injury victim to prove that the business establishment had actual or constructive knowledge of the dangerous condition and should have taken action to remedy it. (Actual knowledge is proven by an employee actually knowing about the condition, whereas constructive knowledge is proven by establishing that the business should have known of the condition.) Constructive knowledge can be established by circumstantial evidence that: (a) the dangerous condition existed for such a length of time that, in the exercise of ordinary care, the business establishment should have known of the condition, or (b) the condition occurred with regularity and was therefore foreseeable. What Causes Slip and Fall Accidents at Winn-Dixie? 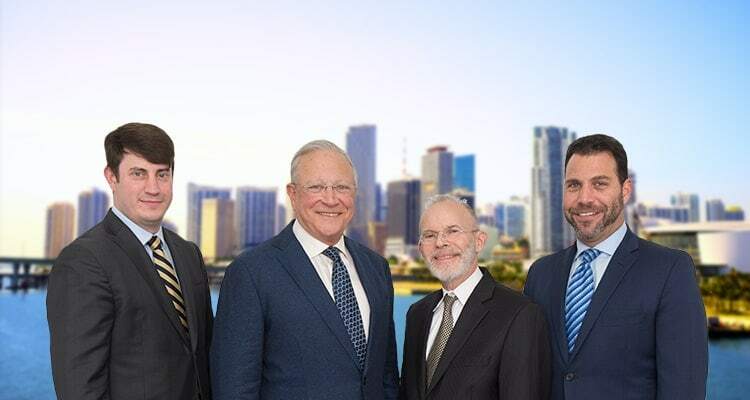 The Miami personal injury attorneys of Gerson & Schwartz represent employees, shoppers, and other injured in grocery stores across Miami, Florida. Our attorneys have litigated numerous personal injury claims caused by the negligence of another, and our law firm will fight hard to enforce your legal rights. If you or a loved one has been the victim of a personal injury accident, contact our firm today to schedule your free consultation. You can also call (305) 371-6000 or email us directly with any questions about your case at info@gslawusa.com. Se Habla Español.